This new hole is a par 4 featuring a sharp left-hand dogleg. You will want to hug the corner with your tee shot if you hope to be left with a short-iron to the green -- but be aware that a left hook will likely end up out of bounds. 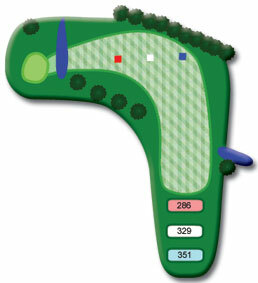 The green is guarded in front by a large pond, and slopes from back to front.